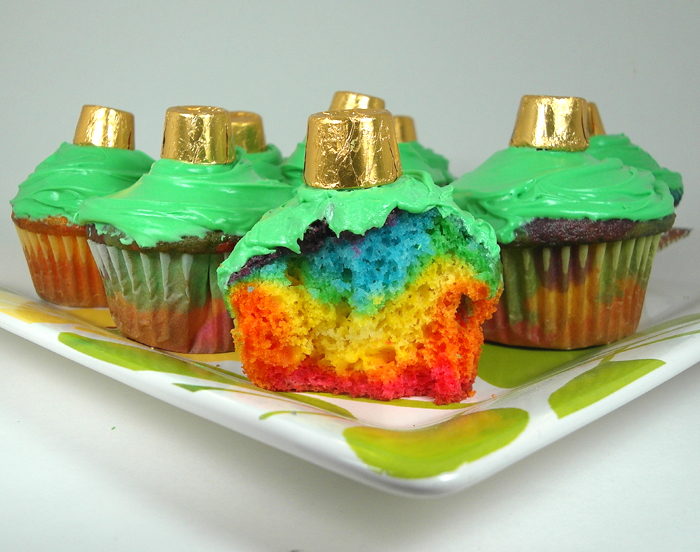 ' Rainbow Cupcakes for St. Patrick's Day - Sisters, What! 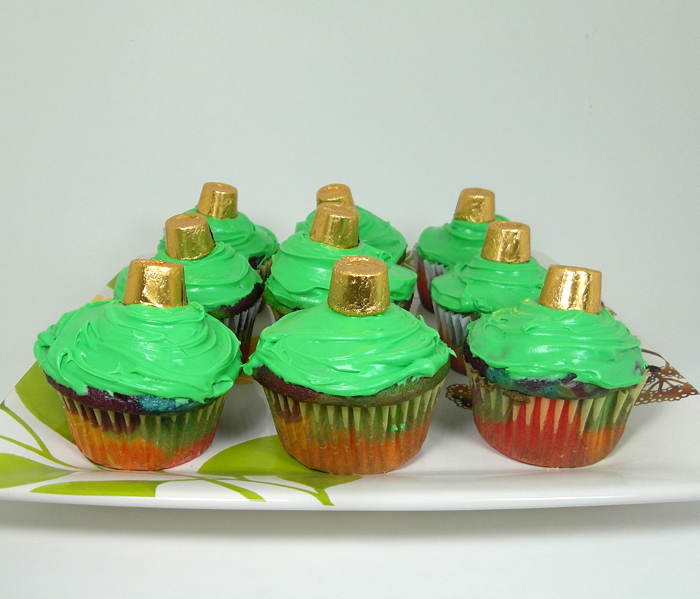 Need something yummy, easy and fun for St. Patrick's day? 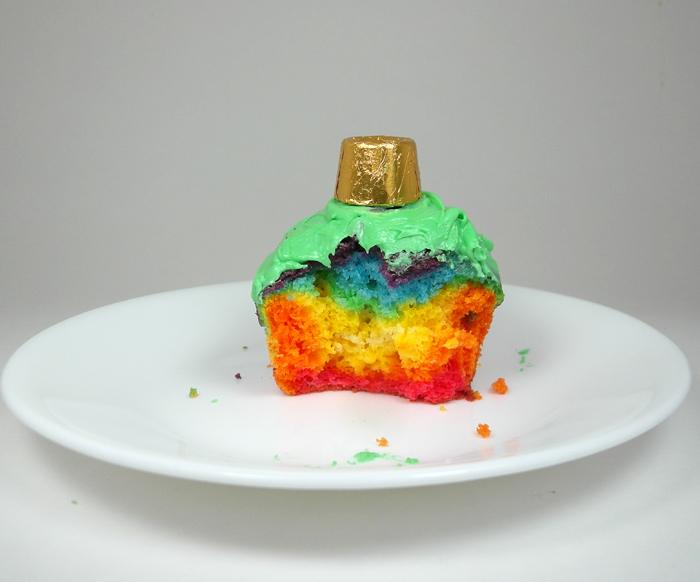 how about a little taste of rainbow in a wee cupcake (I do cheesy well ; ). Seriously though, doesn't this cupcake just look so tasty and colorful? Me and the little one needed something fun to do today and what's better than making rainbow cupcakes? I was hoping that this would be a great color review, but small one was only concerned about helping and making sure that each bowl of batter had a color in it. Which meant i had to be real quick and keep a close eye on him and the food coloring. Needless to say, we will probably both have food coloring on our hands for the next few days. Basically it's super easy; I don't do complicated baking EVER. We did the main six colors, but you can do however many colors you want. 3. 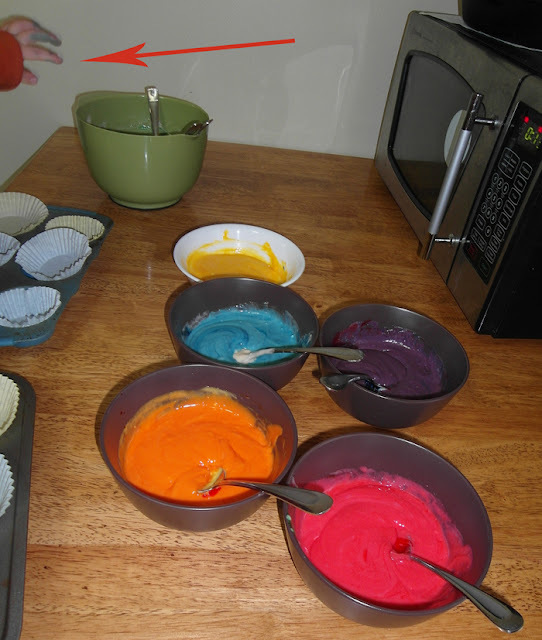 Next, starting with the red batter, spoon a tablespoon worth in each cupcake wrapper. Proceed with the rest of the colors in the correct color order. 5. let cool before adding frosting. 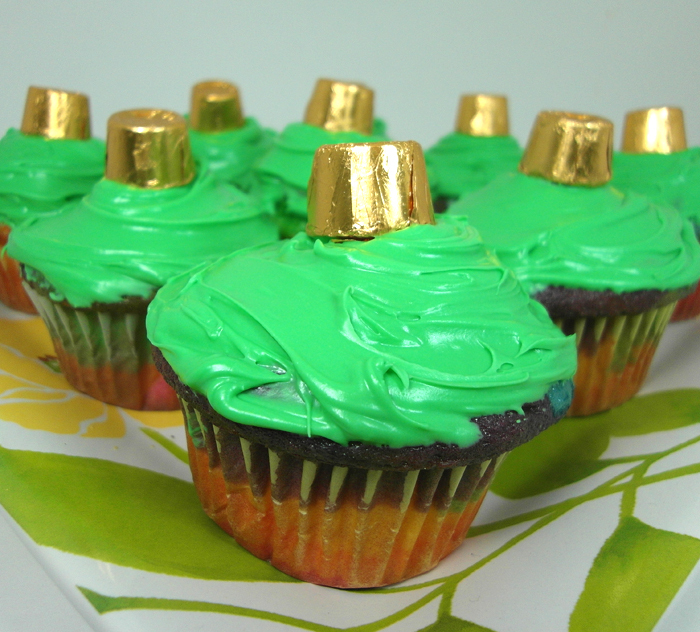 If you feel so inclined, dye your frosting green and add a rolo on top to represent gold. But now I want to try this!